Gnarkill3k6 wrote: When you're able to change something that was fixed... that means it's variable/adjustable and not fixed anymore, right? Fixed bias = it stays where it's set. 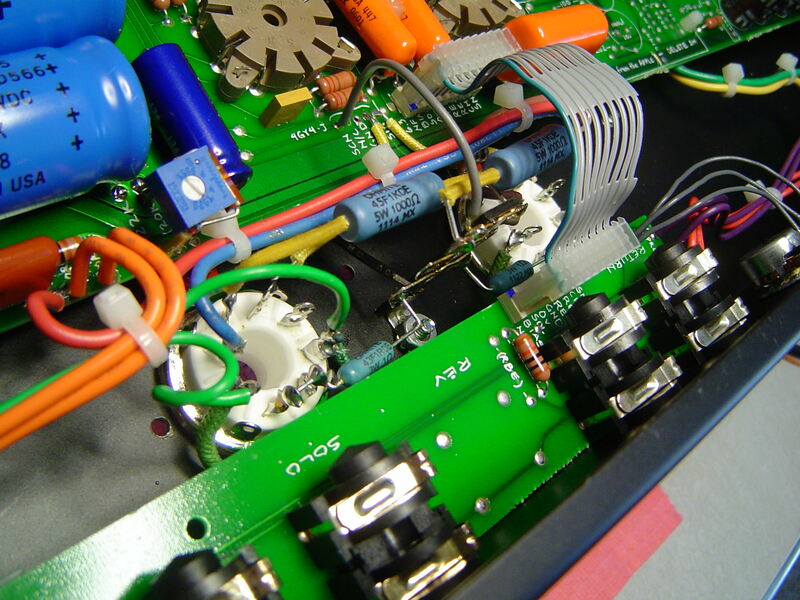 The other variety are the cathode bias amps that adjust the bias automatically. 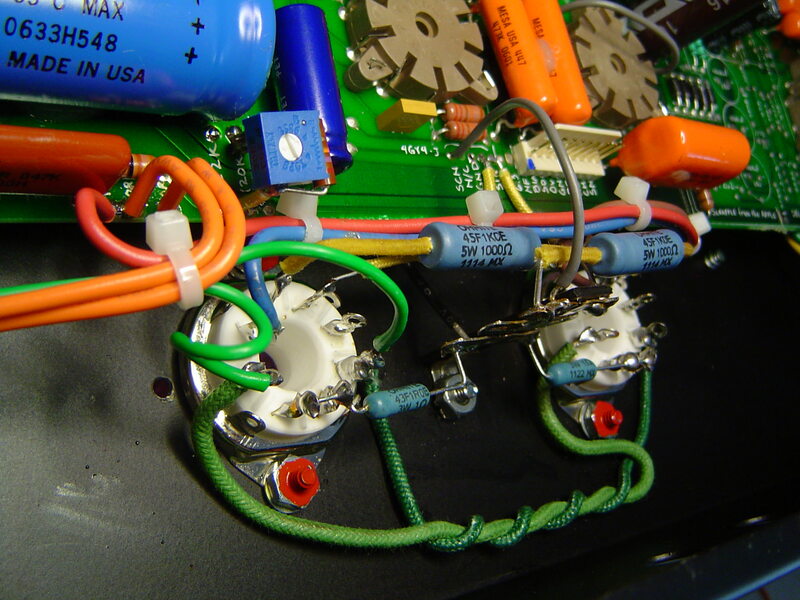 Has anyone found the Mouser part number of the Bourns pot (pannel mount)? I'm writing from Italy, I wish to order it in europe if it's possible. Any suggestion of other brands good quality pots? For exemple. Is this one a good choice? mat.corona wrote: For exemple. Is this one a good choice? Yes. The power dissipated is about 144 milliwatts. So a 2W pot will be fine and that one looks like a quality part. I installed a bias pot in my Single Recto today. I used a 50k pot with a 1/2 watt 47k resistor in parallel with the two outside legs. Leg 1 and 2 of the pot are tied together. I used the legs of the resistor to attach the pot to. I removed the factory 22k resistor (to the right of the 220uf/63v bias cap, just above the 30uf/500v blue cap for the screen supply) and installed the pot assembly in the next "spot" over because it's easier to solder there... Electrically, it's the same connection. I have EL-34's in my amp. 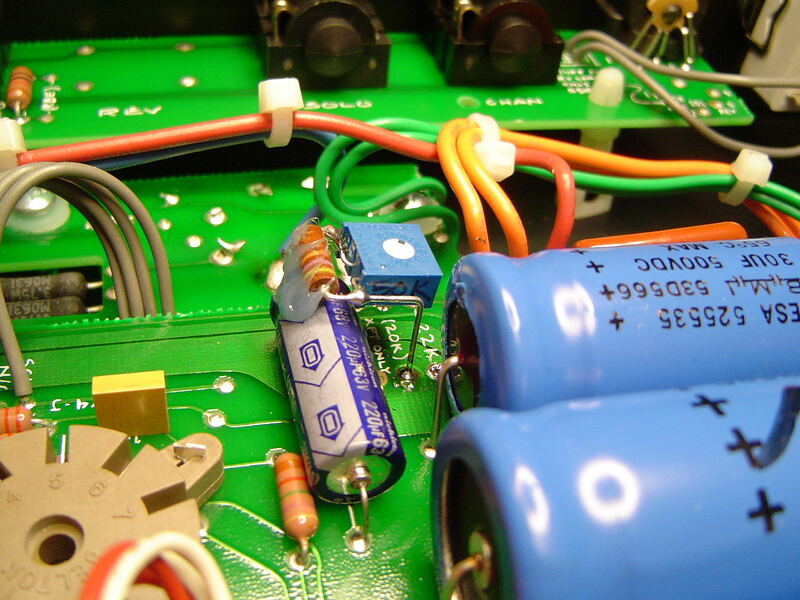 For really good reason, I "hardwired" the power tube socket board.